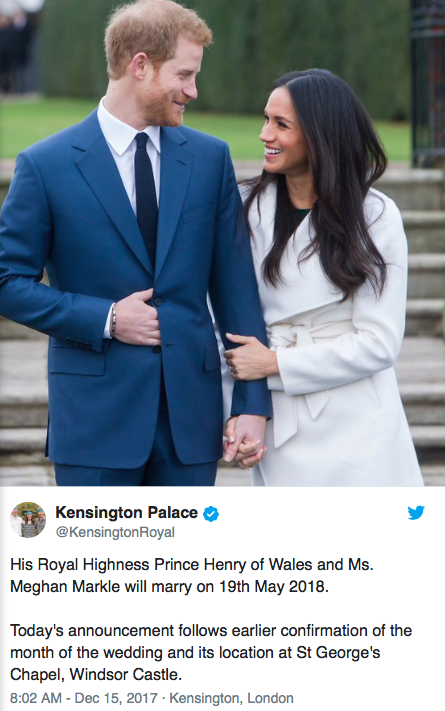 Earlier this month Kensington Palace announced Prince Harry and Meghan Markel would be married next spring [click here if you missed that]. Prince William will serve as best man. Because the higher trinity of man's being must be present before soul-union can take place...the Omnific Royal Arch Word can only be given in groups of three... Their right hands are then raised above their heads or they give at low breath the word: Jah-buh-lun, Je-ho-vah, G-O-D.
Watch the conspiracy theorists analyze the wedding date as some kind of satanic ritual. Lemme head over to YouTube now to get a quick chuckle. No need to analyze the date. Do you see the way Harry’s hand is tucked into his suit? That’s called the hidden hand and That means this is a ritual. "Most likely, he will be created a Duke. Sussex is available so [Markle] would be HRH the Duchess of Sussex," royal historian Marlene Koenig said. "Her rank would be a princess by marriage of the United Kingdom, Great Britain, and Northern Ireland." Megan Markle an american citizen will have to give up her US Citizenship , swear an oath to the Queen of England. May god have Mercy on her poor soul, I fear she will not hold the title for long, the Monarch will raise every devil in hell to eviscerate and wipe her existence from the Royal Family and history books forever. The Hidden Hand said: I'm glad you are the first comment. I keep saying the same things about Harry in photos. Body Language experts equate his hands to love symbols but those of us in the know, know differently. For freaking godsakes...its an engagement photo. The one thing on this thread that I agree on with is that Megan will lose a lot of her independence and freedom as part of the royal family. 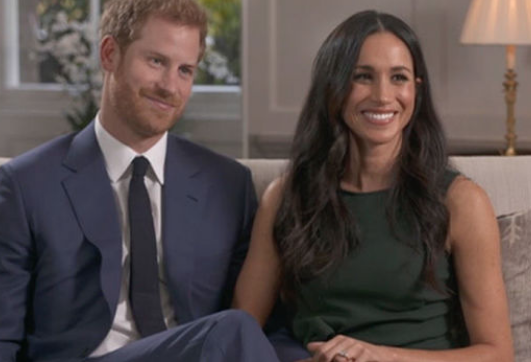 She is marrying into British Royalty which is a great prestige, but she will be scrutinized, and lose a lot of independence because the Royal Family will always come first. I wish them both well.